Welcome to the 622nd Edition of my series. 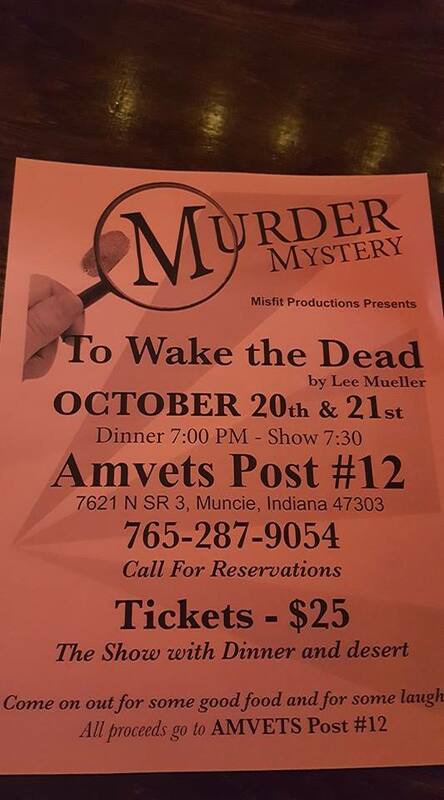 Next weekend is my show TO WAKE THE DEAD which is Friday the 20th and Saturday the 21st. We will be starting dinner at 7 pm and the show at 7:30. 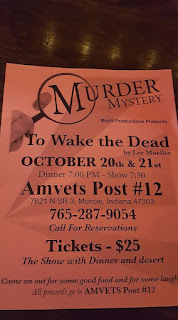 This is a murder mystery dinner theater at the Muncie Amvets and tickets can be reserved at 765-287-9054. 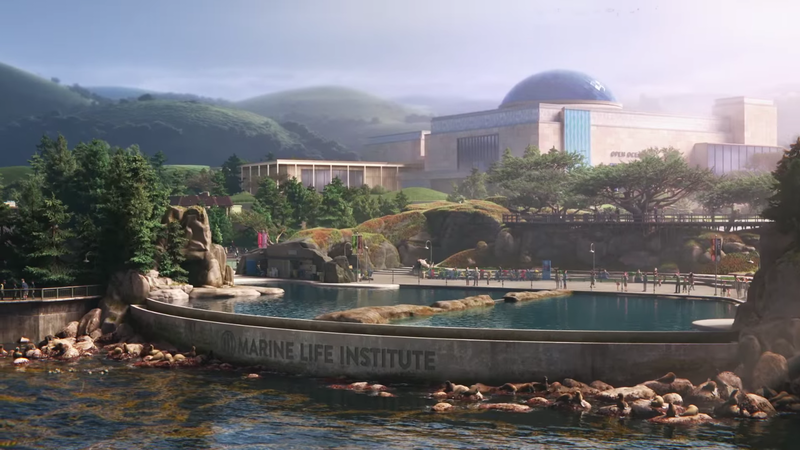 Finding Dory (2016): I start the week out with this Pixar sequel to the 2003 film FINDING NEMO which was directed by Andrew Stanton and Angus MacLane. This one obviously centers around Dory, reprised by Ellen DeGenerous, who while very forgetful does remember being separated from her parents. 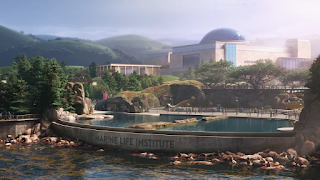 Along with Marlin, reprised by Albert Brooks, and Nemo, voiced by Hayden Rolence, she sets out to find her parents and along the way learning about friends and family. Ed O'Neill, Kaitlin Olson, Ty Burrell, Diane Keaton, Eugene Levy, Idris Elba, Dominic West, Bob Peterson, Kate McKinnon, Bill Hader, Sigourney Weaver, Alexander Gould, John Ratzenberger, Willem Dafoe, Allison Janney, Allison Janney, Austin Pendleton, Stephen Root, Vicki Lewis, and many others co-star in this animated film. This is a pretty good sequel to the first one and a double feature that is really good for the family. This is available on Netflix. South Park: Bigger, Longer, and Uncut (1999): I follow up with some more animation but this time far more adult oriented. 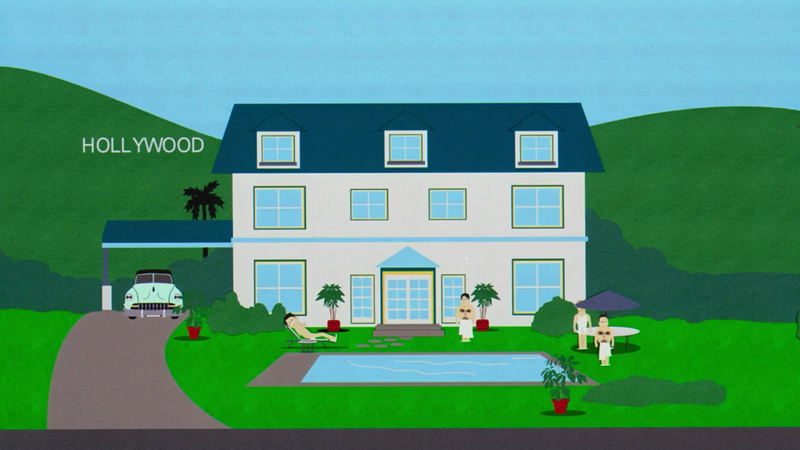 Trey Parker and Matt Stone make a feature film out of their popular animated series. 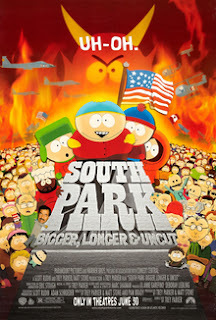 When Cartman and his friends go to see the R-rated Terrance and Phillip movie, the kids start swearing and Kyle's mom leads a group that blames Canada for what happens and pressures the U.S. to take action against Canada making it up to the boys to stop this war and to stop Satan and his lover Saddam Hussein from taking over the world. 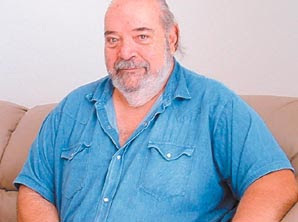 Isaac Hayes, George Clooney, Brent Spiner, Dave Foley, Eric Idle, Stewart Copeland, Mike Judge and many others lend their voices to the film. This also has some musical numbers and some pretty funny ones like BLAME CANADA. This one is not for everyone but if you like the series, I think this will be one to watch. Parker and Stone make absolute sure this would be rated R before making it. This is available on Amazon Prime. 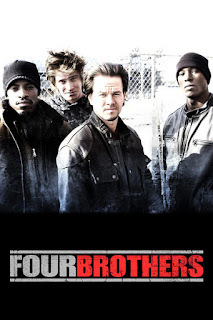 Four Brothers (2005): John Singleton directed this action film of family, honor, and betrayal. 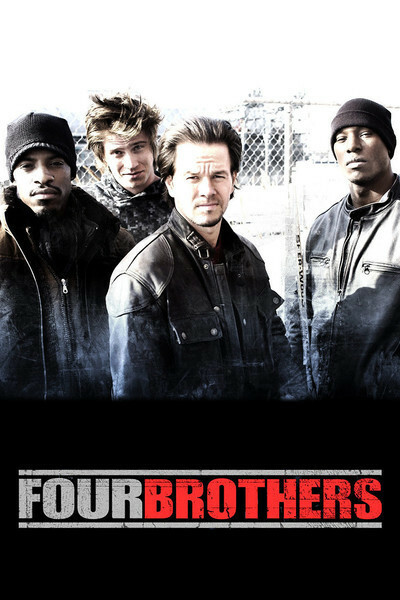 Mark Wahlberg, Tyrese Gibson, Andre Benjamin aka Outkast, and Garrett Hedlund star as four adopted brothers whose foster mother, played by Fionnula Flanagan, is gunned down during a gas station holdup. The brothers investigate and avenge their mother's death that they find is more than just a random shooting as well as finding corruption in the police force. Terrence Howard, Josh Charles, Sofia Vergara, Chiwetel Ejoifor, Taraji P. Henson, Kenneth Welsh, and many others co-star in this film. I found this movie to be strangely moving and compelling. This is available to watch on Netflix. The Hellstrom Chronicle (1971): This movie combines itself into being a documentary and drama. Lawrence Pressman stars as the fictional Dr. Hellstrom who warns that if we are not careful how the bugs could take over the world. 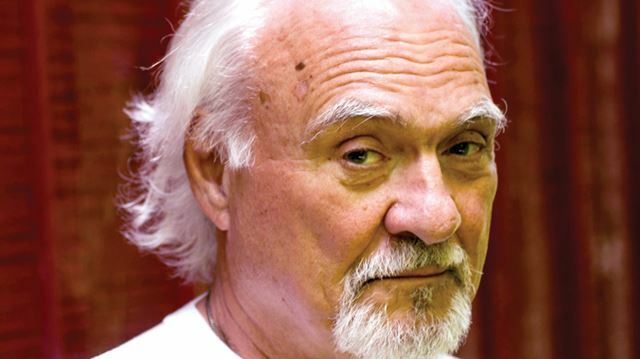 This is a very interesting film that combines documentary and horror footage. It is very hard for me to describe further except it is a very fascinating watch. They did a really good job making the movie and is really worth a look. Stranger of the Swamp (1946): Frank Wisbar directed this film that obviously takes place in the swamp area. 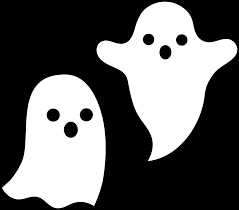 Many people in the swamp are dying of strangulation and the inhabitants believe it is the ghost of an innocent man who is getting revenge on those responsible. Rosemary La Planche stars as Maria who looks to piece together what is happening in the swamp. 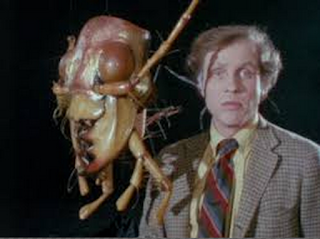 This is clearly low budget but not a bad older horror film with decent effects for the time period. It is only 59 minutes long and available on Amazon Prime. 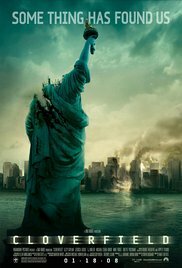 Cloverfield (2008): Matt Reeves directed this film where a group of friends are having a going away party and a scary creature is destroying New York City. 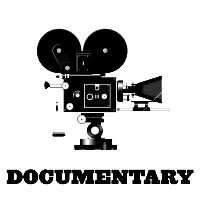 The movie is done from the point of view of a hand held camera and mostly shows the people trying to survive the deadly attack. Lizzy Caplan, Jessica Lucas, T.J. Miller, Michael Stahl-David, Mike Vogel, Odette Annable, Theo Rossi, and many others co-star in this film. 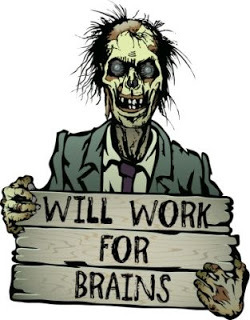 I thought this was a pretty good independent horror film. Some may not like the hand held camera bit but I thought it worked pretty well. This is available to watch on Amazon Prime. 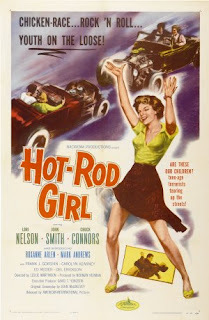 Hot Rod Girl (1956): This was a pretty popular genre in this era involving hot rods. 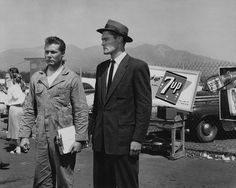 John Smith stars as Jeff whose brother dies in a hot rod race and blames himself for what happened because he built the car and encouraged his brother to race. Chuck Connors co-stars as Detective Merrill who knows he cannot stop the dangerous hot rod racing so he is trying to get a more organized setting for it to become safer but becomes more difficult when a bad crime happens. 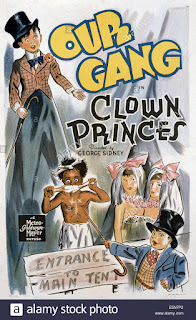 Lori Nelson, Frank Gorshin, Dabbs Greer , and many others co-star in this hod rod movie. This is good for what it is, a racing movie. This is available to watch on Amazon Prime. 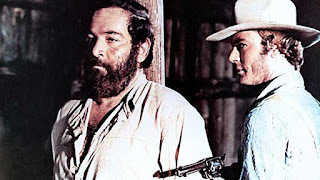 Carambola (1974): This is my western for the week and is more of a western spoof which was directed by Ferdinando Balci. 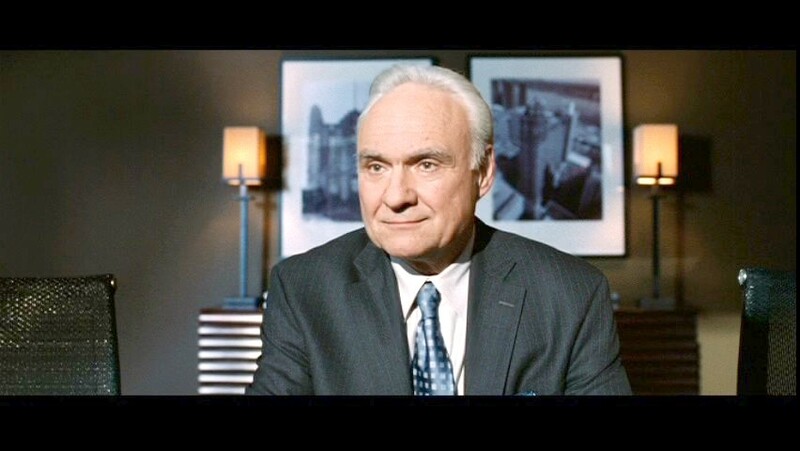 Michael Coby and Paul L. Smith star in this film as what we might refer to now as frenemies where they did not get along very well and they were investigating the same arms trafficking but for different reasons. 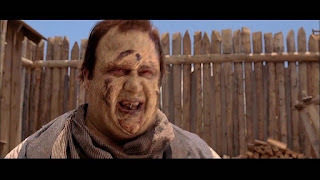 There are a lot of comedic scene like some really good pool scenes in the movie and is a more unknown western comedy. Coby and Smith are a great duo to watch. This is another that is available to watch on Amazon Prime. 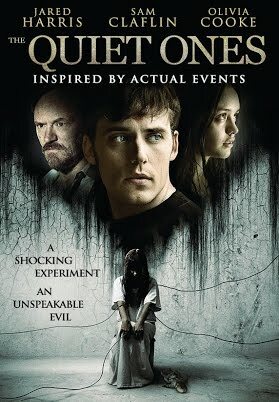 The Quiet Ones (2014): I end the week with this horror film. Jared Harris stars as Professor Joseph Coupland who is doing an experimental treatment to a girl named Jane Harper, played by Olivia Cooke, who believes she is possessed by a doll named Evey. Sam Claflin co-stars as Brian who Coupland brings in to film the experimentation and uncovers other things about Jane and the professor. 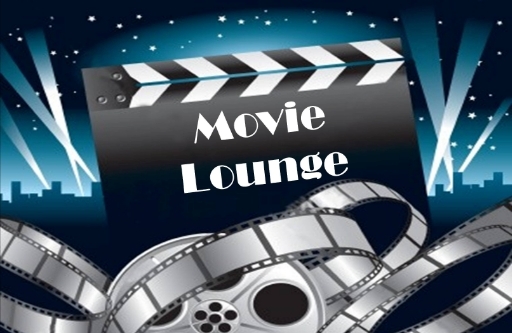 Erin RIchards, Rory Fleck Byrne, Laurie Calvert, and many others co-star in this film. This is loosely based on a true story of "the Philip Experiment" in 1972. Mostly of interest to horror fans which was worth a look for the season. 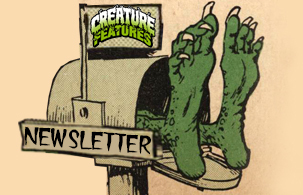 Well, that is it for this week but continue to read on for week two of the Madness. Stay tuned for next week which so far includes Minnie Driver, Ben Kingsley, and many others. Chuck is one of our wild cards and have been using him a lot for older selections. Hot Rod Girl (1956, 66, 79 minutes): This is quite the loophole that has Chuck, the popular storyline of this era in hod rodding. 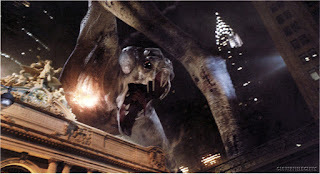 Cloverfield (2008, 666, 85 minutes): This film does not need much explanation for counting in the madness. KIDS IN THE HALL and NEWSRADIO alum is not a wild card but found I have a couple of his animated movies so I thought I would feature these. Monsters University (2013, 666, 104 minutes): This Pixar film should easily qualify with all the monsters and its predecessor MONSTERS, INC, was featured last week. South Park: Bigger, Longer, and Uncut (1999, 666, 81 minutes): This always qualifies for the presence of the Devil. 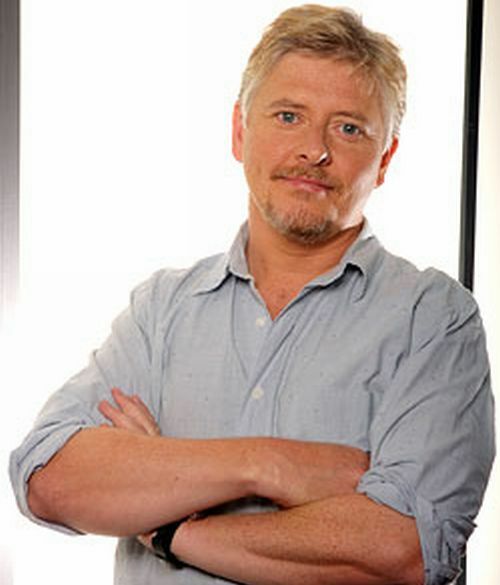 Foley voices the Baldwin Brothers. 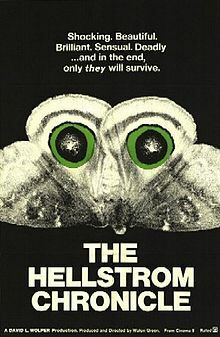 The Hellstrom Chronicle (1971, 666, 90 minutes): This is shot like a documentary and warns of bugs taking over the world and has some footage of horror like THEM! 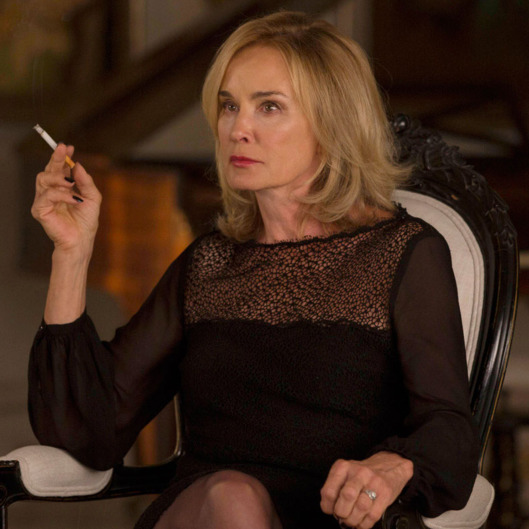 Jessica is one of our wild cards this year so I have included a couple episodes of her show. 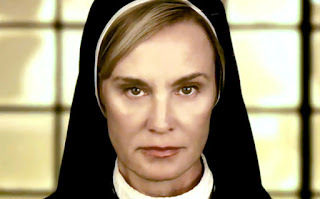 American Horror Story: I am Anne Frank: Part 2 (2012, 666, 42 minutes): Jessica plays Sister Jude at this time of the show. I know I'm a little late in the game. 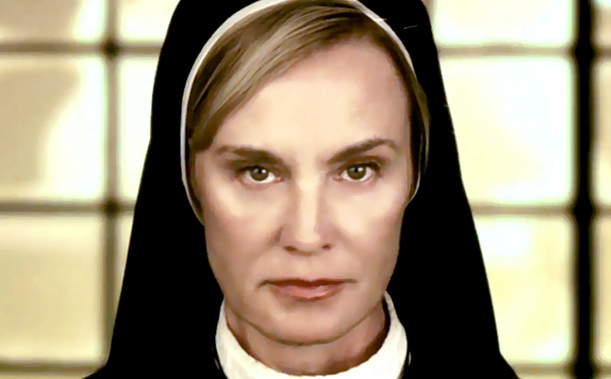 American Horror Story: The Origins of Monstrosity (2012, 666, 42 minutes): This is in the asylum season and needs no explanation to qualify. Kenneth is one of our wild cards this year so found a good loophole. 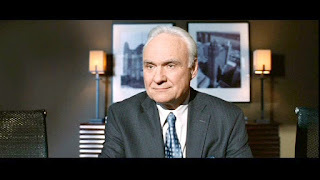 Four Brothers (2005, 109 minutes, 666): This revenge drama qualifies for the small part Kenneth plays. 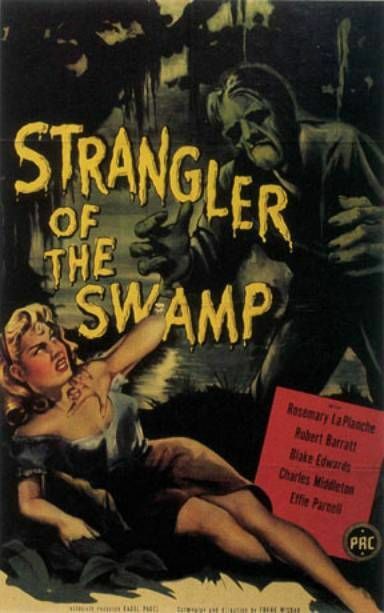 Strangler of the Swamp (1946, 59 minutes, 66): This involves the dead getting revenge. Paul is a name that gets automatic triple points so I found a western. 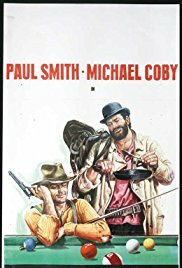 Carambola (1974, 94 minutes, 66 1/2): This western counts because of Paul L. Smith. The Quiet Ones (2014, 98 minutes, 66 1/2): This movie has a girl being possessed by a doll so not much explanation on this one. Sigourney is one of our wild cards this year so found a couple selections for her. 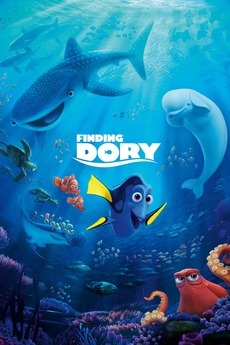 Finding Dory (2016, 97 minutes, 666): This Pixar film might not qualify at other times but Sigourney is in this one voicing herself. 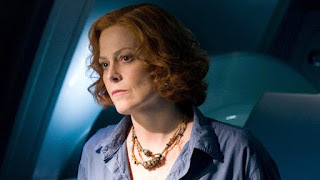 Ghostbusters (2016, 116 minutes, 66): This reboot of the '80s classic needs no explanation but Sigourney has a cameo. I continue with our wild card who was featured last week. 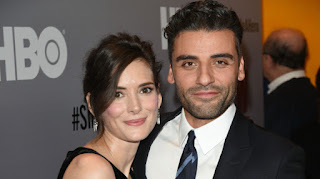 Show Me a Hero Episode 6 (2016, 60 minutes, 666): This was an HBO political mini-series in which Winona was in these particular episodes. Undead or Alive (2007, 91 minutes, 66): This is a zombie western comedy so easily counts.